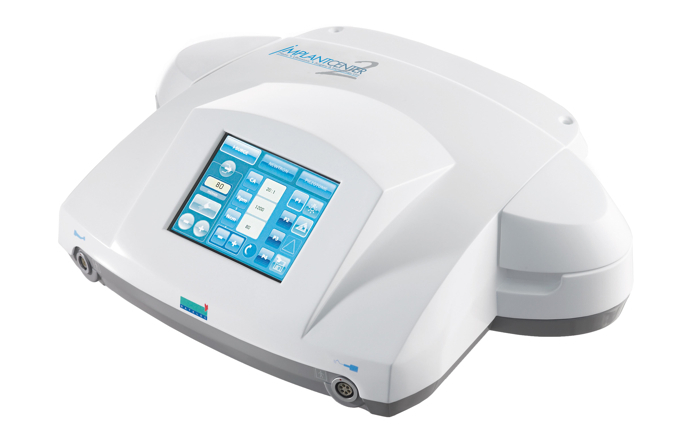 A piezoelectric ultrasonic generator (also called Piezotome) is an innovative tool that combines precision, power and silence to perform delicate procedures in the dental surgery area. An example of this procedures are: implant placing, apicoectomy, ridge expansion and sinus augmentation (also called Sinus Lift). The Piezotome gives us the resolution to many difficulties encountered with traditional instruments, allowing us to create very thin, precise incisions. Due to its system being based in ultrasonic vibrations, it is invaluable in soft tissue preservation (this because it does not create any incision or affection to it), perfect for improving visibility during procedures. As a result of the minimal vibration, the post-operative experience is quick and, on most cases, painless in comparison to procedures performed using traditional instruments. Here at Perfect Smile Dental we have Implant Center™ 2, which symbolizes the perfect association of safety and speed, without jeopardizing precision, power or silence. Its reliability combined with a very high power and LED technology, gives us highly predictable results in Implant Placing (I-Surge Mode), Bone Surgery (Piezotome Mode) as well as in conventional treatments like Periodontics, Endodontics, etc. (Newtron Mode).